Day in and day out, Utah 2-1-1 take calls from people across the state, connecting them to resources and services to help in times of difficulty. But when Hurricane Florence wrecked havoc on the east coast last year, Utah 2-1-1 came to the aid of call centers in South Carolina to help manage the increased call volume from survivors of the hurricane. 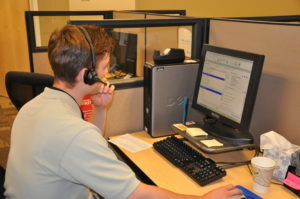 Utah 2-1-1 took more than 340 calls from South Carolina residents following Hurricane Florence, and spent about 190 staffing hours making preparations, connecting callers, and coordinating efforts surrounding the hurricane, according to call records from 2-1-1. Staffers that don’t normally take calls pitched in to help keep the pace for in-state callers and for those dealing with the hurricane’s aftermath. 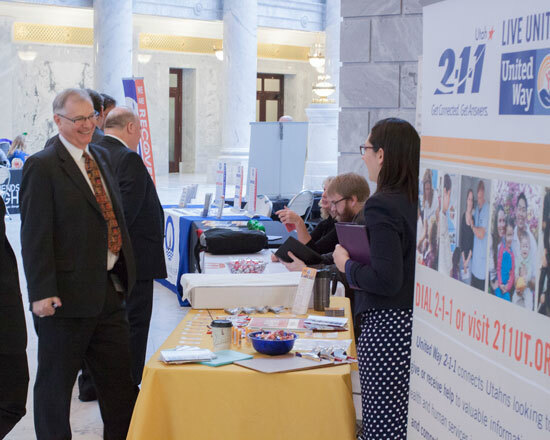 Local staff worked with with South Carolina call centers, United Way Worldwide and other Utah call centers to figure out how best to coordinate calls both in and out of state, said Sandra Carpio, Utah 2-1-1’s Director of Operations. There were many challenges staffers faced while taking calls about the Hurricane Florence aftermath. While there were many calls about what to do if someone’s house had been destroyed or where to seek support after the evacuation, other calls focused on supports that were in place for those who were lucky enough to still have a home standing. Calls about income, mortgage, and rent support flooded the lines, as many people spent their money trying to board up their homes or on hotels to stay safe, Carpio said. There were also many calls about where to get food, after many people’s food ended up spoiling after the hurricane passed. Taking calls from people who live across the country came with more challenges than just connecting them to the right resources. Although some services were open and available, Carpio said, sometimes callers would inform them that there was no way to get there anymore because of flooding, or transportation to get anywhere was out of the question. Although Utah 2-1-1 has helped with other crisis situations across the country in the past, Wood said Hurricane Florence was one of the most intensive assists they’ve been part of recently. The team took home many lessons to help evaluate its process when dealing with disasters in the future as well as a greater understanding about what helping others during a disaster means and looks like. 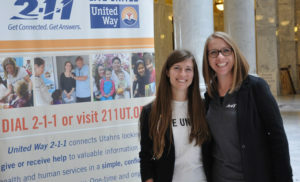 To learn more about Utah 2-1-1, visit 211utah.org.